Our project management consultancy aids organizations from the conceptualization of their project throughout the project lifecycle with key focus on risk and issue management to ensure successful project delivery. We are committed to ensuring your organization has skilled project management expertise available to ensure that all initiatives are well-planned and executed from conceptualization to closure to meet strategic objectives. 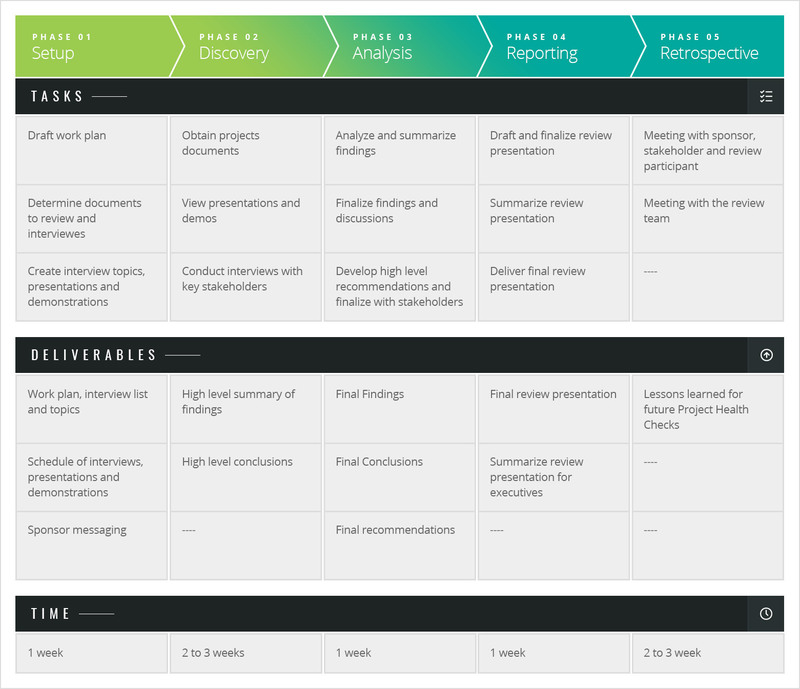 Our Project Health Check Methodology is a five-phase process which identifies the roadblocks impacting your success and provides strategies on how to make mid-project adjustments or adopt best practices for future projects. We ensure you make the most of your resources and get the results you need. In an ever-changing and fast-paced corporate world, training is an indispensable function. It is crucial for organizational development and success and is fruitful to both employers and employees of an organization. We offer training for different levels. Targeted to anyone interested in being part of a project team. Targeted to project subject matter experts, team members, facilitators and coordinators. Targeted to anyone who leads and directs cross-functional teams to deliver projects.